Join us under the bridge. Only available through April 30! Climb for the day. No experience or reservations required. An introduction to bouldering + climbing technique. Includes climbing after your class. Climb with a warm + welcoming community. 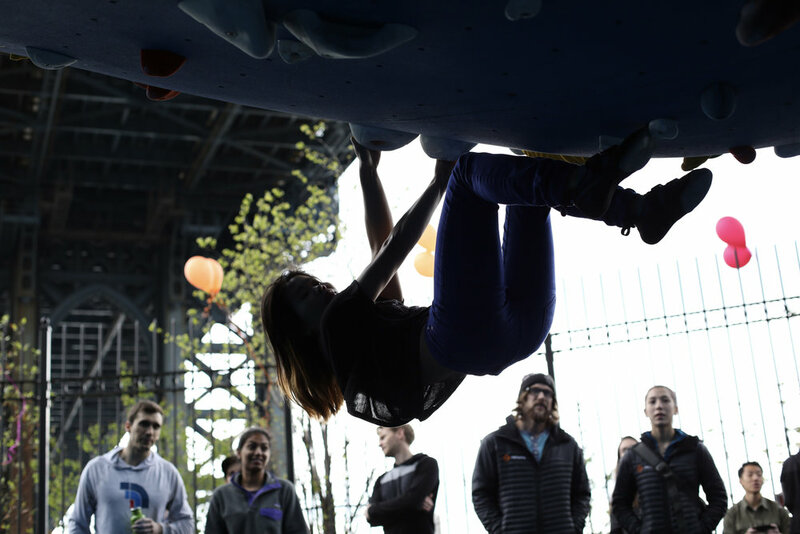 The Cliffs at DUMBO offers bouldering, a type of rock climbing that is focused on movement and requires no experience, rope, or partner! The biggest challenge is not getting hooked. Check out our Learn to Crush clinic to get an intro.